Find out who rowed in events and the results they achieved. Read about selection and racing issues. See the trends and growth in rowing in Australia. 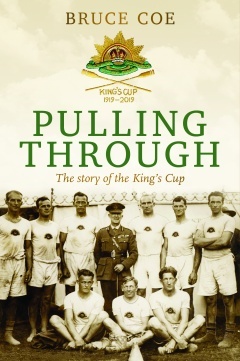 This new book by Bruce Coe tells the fascinating story behind the winning of the 1919 King’s Cup by the Australian Imperial Forces No. 1 crew. You can read more about the book and order it online. November 2018 - Launch of our new website! We are pleased to announce the launch of our new website. We are, however, still migrating our thousands of webpages from the old platform into new templates on the new platform, so our website will have a mixed look until this job is completed. The sections yet to be migrated can be found at: www.australianrowinghistory.com.au. See our past news and past additions.